Holographic nail polish is a fast-growing fashion trend because we love sparkly nails – We love glitter polishes and metallic polishes but sometimes, we need something out of this world to feel really special. If you’re looking for a badass nail polish, it’s time for holographic nail polishes that create a multi-dimensional look with just a couple of brush swipes. The holographic nail lacquer might look regular at first glance, but when it hits the light, you will see lines of rainbows. 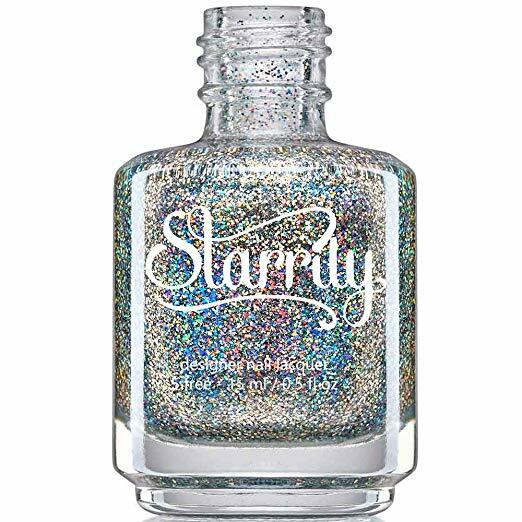 We gathered the best selling, highly recommended holographic nail polishes for you to buy today and enjoy the holo look, and don’t worry, all of these top rated nail lacquers cruelty-free! 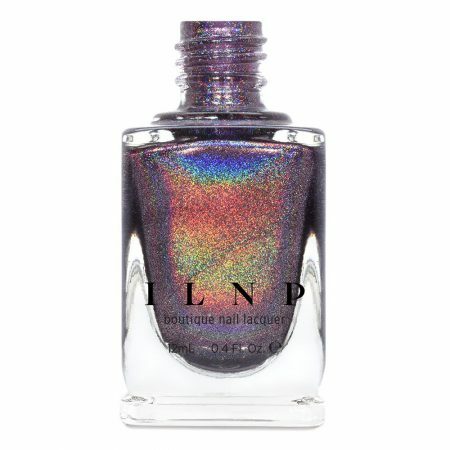 ILNP “Charmed” is an incredibly stunning refined plum Ultra Holographic nail polish with a JAW-DROPPING holographic sparkle. This is the real deal! 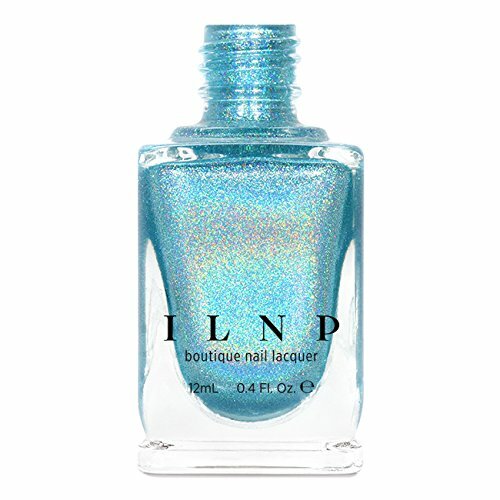 If you always knew, you’re really are a mermaid, the ILNP Aria is the right holographic nail polish for you. It is the best seller too. 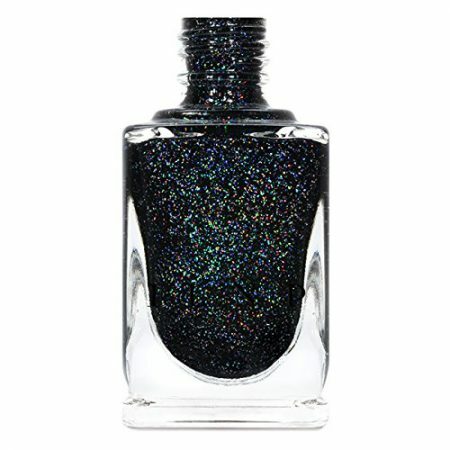 TRUE Black Holographic Jelly Nail Polish. This lacquer is perfectly black, incredible holographic sparkle, just mind-blowing. 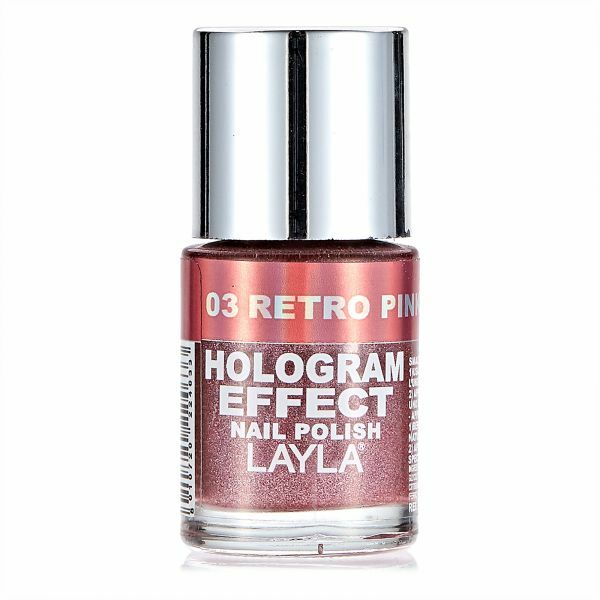 Flamingo Pink Holographic Ultra Metallic Nail Polish for the daydreamer gal! 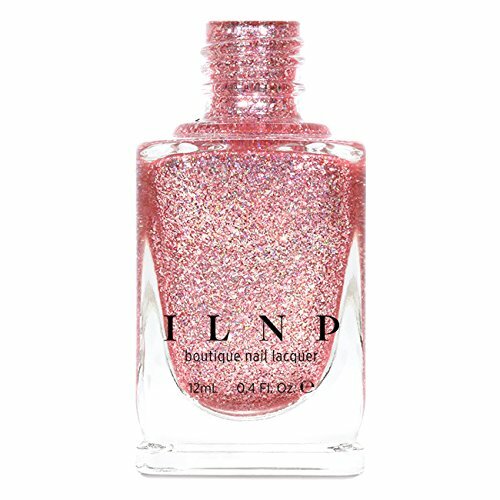 This is a playful and feminine pink metallic nail polish. The Daydreamer is an incredibly vibrant flamingo pink Ultra Metallic nail polish with a splash of holographic magic. Delicious! 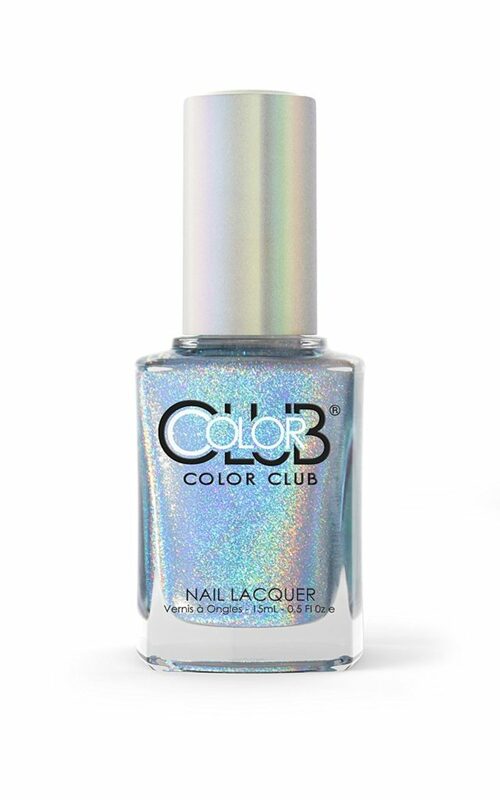 Intense holographic sparkle, Fully opaque, no need for a base coat – The real deal! 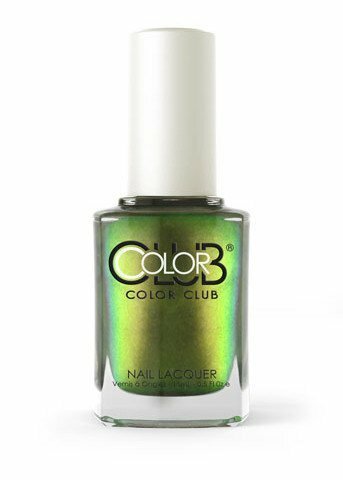 This holographic green nail polish (with the best name you’ve heard!) will get you out of your comfort zone in a few swipes. Ultra holographic top coat meant to be used over another color. 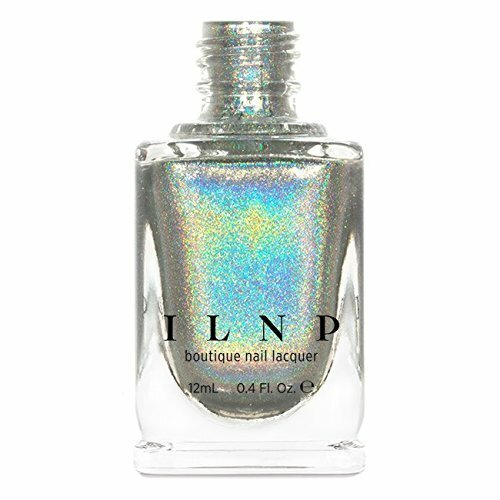 Instantly turn any nail polish holographic with only 1 easy coat. Very strong and reach noticeable holographic nail polish effect. When applied on smooth nails, the holo effect is absolutely stunning, with beautiful slick rainbow lines. 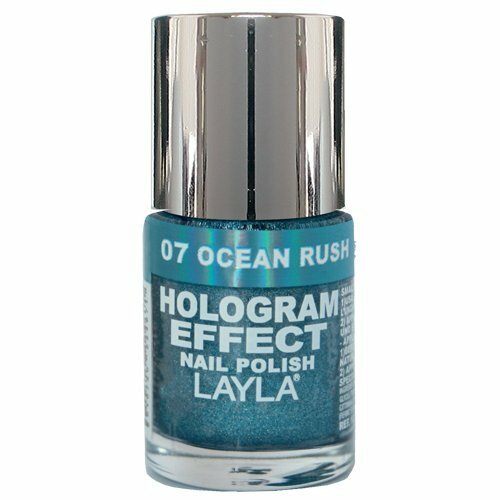 This Hologram Effect Nail Polish really captures the light transforming it in turning them of always various tonalities. How to apply the holographic nail polish? Use a shine buffer – Before you apply metallic nail polish, it is very important to clean and smooth your nails first. One way to do it is by using a shine buffer. It allows the polish to go on very smoothly it also gives it a natural high shine once dry without the use of a top coat. 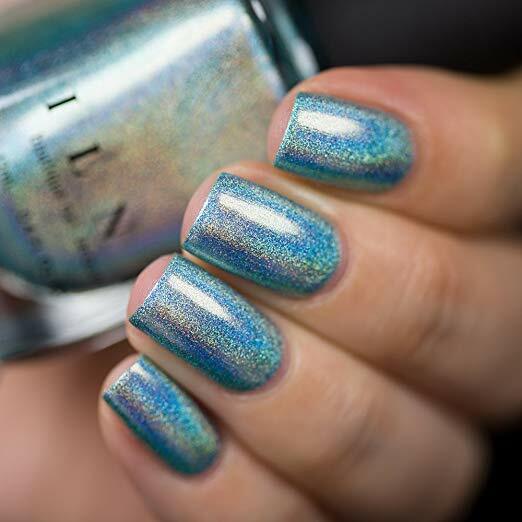 Don’t use an “adhesive” base coat – It might cause a patchy application that will need multiple coats in order to even out the color, and it might also dull the holographic effect. This is very important especially when you go over an area more than ones. Keep the brush flat on the nail and slowly drag it downwards, using the tip of the brush to apply the polish. Now let it dry and go show off your super shiny nails everywhere! Can’t get enough from nail polish? 12 trendy ideas for short nails polish!